Baikonur. 21st century. 7.30am. Daybreak was well over an hour ago, though the sun is as red as at sunset. Together with his fellow Europeans, Rémy, a Frenchman, is getting ready to leave their hotel, the Sputnik. The Gazelle, a heavily laden little truck that will take them to work, is waiting for them. Some people daydream during the journey, looking at the camels, foxes, wild horses or even eagles, whilst others listen to music or learn a few words of Russian which, together with Kazakh, is the most widely spoken language in Baikonur. On the way there, the minibus, which can take between 8 and 10 people, narrowly manages to avoid running over a few marmots, or sousliks, which are found in particularly large numbers in this desert environment. Half an hour later, after passing through the checkpoint to leave the enclosure of the new town of Baikonur, Rémy and the other Europeans reach MIK 112, the assembly point for Soyuz, one of the many launchers developed by the Union of Soviet Socialist Republics (USSR). Their Russian colleagues, both men and women, arrived by train from Baikonur –an enclave administered by Russia until 2050 and built around a tangle of railway lines on the Moscow-Tashkent line. In reality, however, the real town of Baikonur lies several hundred kilometres north-east of the Baikonur Cosmodrome, built in the middle of the Cold War in the 1950s as a test base for intercontinental ballistic missiles (ICBM). The Soyuz launcher is therefore part of a long Soviet space tradition, which really took off on 4 October 1957 when the USSR was the first to place an artificial satellite in orbit: Sputnik 1, which was initially a military missile developed in 1956 by the engineer Sergei Korolev. The Soviets were also the first to put a man in space with Yuri Gagarin, on 12 April 1961. The history of Soyuz began in 1966. This launcher was based on the Voskhod, which in turn was a variation on the Semyorka intercontinental ballistic missile. 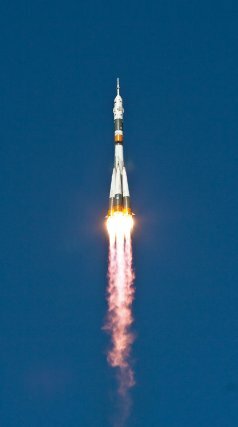 The initial version of the Soyuz had three modules, weighed 308 tonnes on takeoff and stood at 50.67 metres tall. It was used to launch manned spacecraft and military satellites. Different versions subsequently developed and Soyuz is now considered to be one of the safest launchers in the world, with no less than 1800 launches to date and a success rate of around 98%. Although used nowadays to supply the International Space Station and place commercial satellites in orbit, it never achieved its initial objective: sending a Soviet cosmonaut to the moon. Since late February 2011, when the launch of the space shuttle Endeavour marked the end of the American shuttle programme, Soyuz has been the only launcher available to send astronauts to the International Space Station (ISS) and this will probably be the case until 2020. Will the Russian launcher hold the “keys” to the orbiting station? Back to Baikonur. About 6pm. 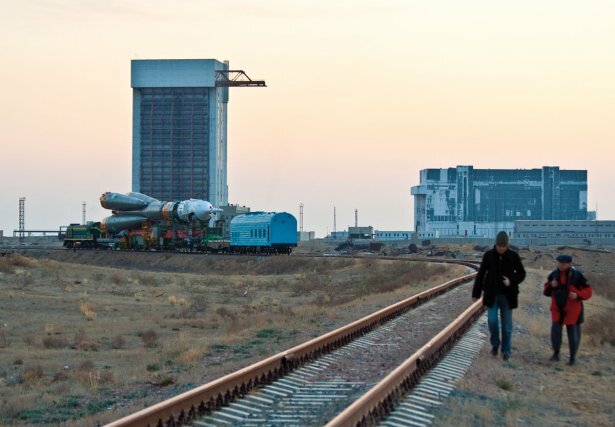 Rémy has just finished a long day’s work for the Franco-Russian subcontractor, Starsem: the commercial operator of the Soyuz launcher whose headquarters are based in Evry on the outskirts of Paris. The minibus which took him and his colleagues this morning has just returned to take them back to the hotel. After showering, Rémy, who as a foreigner is not allowed to drive in Baikonur, takes a taxi to go and eat chachliks, which are mutton kebabs, in a restaurant in town. The meal costs him about 1,000 roubles (€25) for a beer, a main, a dessert and coffee. For the more adventurous, the evening continues in a nightclub as there are not any cinemas in Baikonur. There is little risk of Rémy spending all of his salary on various consumer goods by the end of the week. Baikonur is a town that time forgot: where dilapidated pipes take heat to collective blocks of flats and windowless shops are sometimes even hidden underground. The only place to do your shopping in the open air is at the main market, which is held every day apart from Monday. 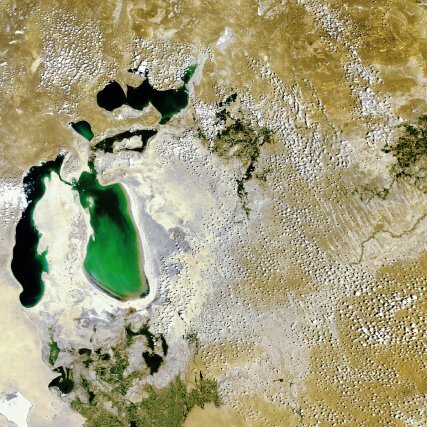 There is nothing fertile about Baikonur except the meaning of its name in Kazakh. There is no farming within the town enclosure and even the trees struggle to grow. Most of the fruit and vegetables on sale come from Uzbekistan, although lots of fish and prawns from the Syr-Daria River can be found on the market stalls. To be able to wander around town amongst the numerous model missiles and rockets, Rémy had to sign a disclaimer. The weather, however, is not great for walking as the temperature can vary from -30°C in winter to +40°C in summer, with a relative humidity of between 10% and 20%. The young people don’t seem to mind; they fall in love on the Arbat, an 800-metre-long pedestrianised street which is bordered by benches. The only way in which Rémy can communicate with his friends and family is over the Beeline network, the name of the local telephone operator, or over a very slow Internet connection. Nevertheless, the time spent working at the base is limited. Although the Cosmodrome visa is valid for one year, Rémy goes back home to Tahiti after 2 and a half months or flies off to work at Kourou, where he is in charge of electric procedures on the Ariane 5. In French Guiana, Rémy is bound to meet up with the Russian colleagues he met in Baikonur. “The space industry is a small world,” he tells us. This is even truer now that the long-standing Franco-Russian cooperation has entered a new phase. On 30 June 1966, on the initiative of the General de Gaulle and through the National Centre for Space Studies (Centre national d’études spatiales, or CNES), France signed a cooperation agreement with the USSR for the peaceful exploration of space, the first of its kind for a Western nation. Since 1996, the Franco Russian company Starsem, in which Arianespace has shareholdings, has had exclusive rights to operate Soyuz for commercial flights and has already carried out twenty-one launches from Baikonur. On 19 July 2005, after two years of studies and negotiations, the CNES and European Space Agency (ESA) signed a development contract for the Soyuz launcher at the Space Centre in French Guiana (Centre spatial guyanais, or CSG). This new cooperation programme brings mutual benefits. For the Europeans, Soyuz means it can offer a full range of medium-sized satellites to complement those launched by Ariane 5 and soon by Vega, thus confirming its leadership in the commercial flights market. In concrete terms, it is a matter of consolidating Arianespace’s lead over its rivals, such as the industry number two, International Launch Service (ILS), a joint Russian and American company which operates Proton, another Russian launcher. A further step was taken in this new cooperation on 26 January 2007 when the first stone was laid for the Soyuz launch pad, the “Gagarin Stone” which came directly from the Baikonur Cosmodrome launch pad, where the famous cosmonaut took off in 1961. The first team of fourteen Russians arrived in French Guiana on 24 July 2008. They arrived at the Hôtel du Fleuve in Sinnamary, where all the Russians working on the Soyuz project are accommodated, in waves of 20 to 30 people per week until the end of August. The Russian Federal Space Agency Roscosmos is in charge of coordinating Russian work on the Soyuz project: adapting the launcher for French Guiana, installing the launch system, the movable service structure, the launch test benches, and the Fregat upper rocket stage. The CNES is in charge of work progress, and Arianespace is responsible for Russian services as well as the operational qualification of the Soyuz Launch Facility (Ensemble de Lancement Soyouz, or ESL). 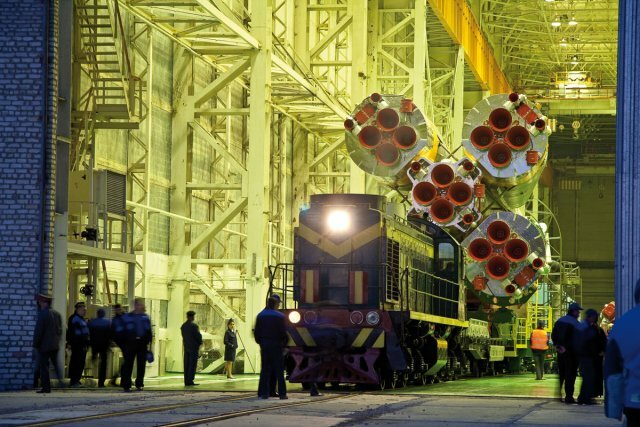 The various parts of the launcher are brought by train from the Samara space centre to St Petersburg, then sent by ship to the port of Dégrad des Cannes. They then take Highway 1 (RN1) for the launch site which lies 18km from Sinnamary and 27km from Kourou. 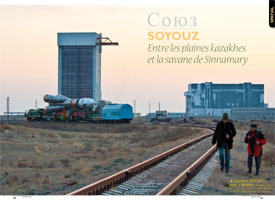 It is a new version of Soyuz which is being developed in French Guiana, however. It will be capable of placing twice as large a load (3 tonnes in all) in geo-stationary orbit than from Baikonur in Kazakhstan or Plesetsk in Russia. The reason for this? It is due to the favourable location of Sinnamary, lying at a latitude of 4.5° north as opposed to Baikonur which is at 54° north. Being located near the equator, the Russian launcher will benefit from the catapult effect due to the higher speed at which the Earth spins (1662km/h in Sinnamary, as opposed to the 1168km/h in Baikonur). On blast off, it weighs 308 tonnes, is 42.5 metres tall, and has four modules containing a mixture of kerosene and oxygen. Remarkably, the exhaust gases are comparable to those of a jet airliner, meaning Soyuz is a comparatively non-polluting launcher. The new launch facility, adapted to comply with French norms and the protection regulations in place at the CSG, covers a surface area of 120 hectares. 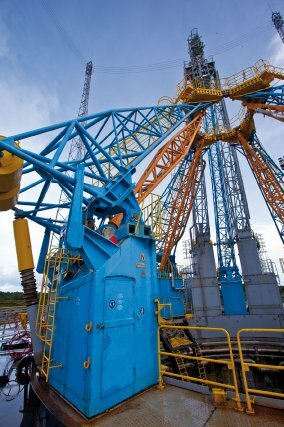 The overall cost of the Soyuz programme in French Guiana totals €409.45 million. 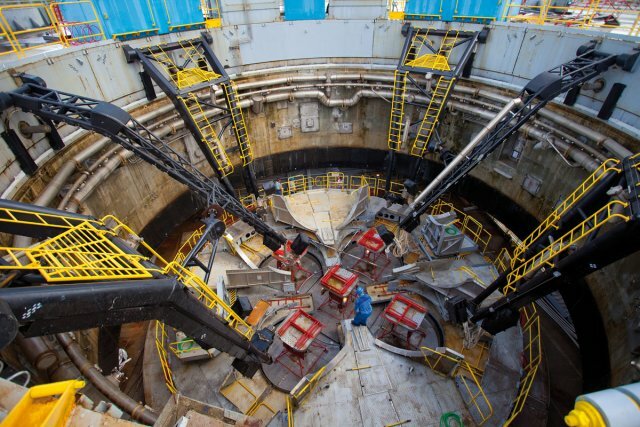 In all, approximately 600 people will have worked on the project, including 250 Russians of whom 10% are in management. Soyuz is now ready to take off. 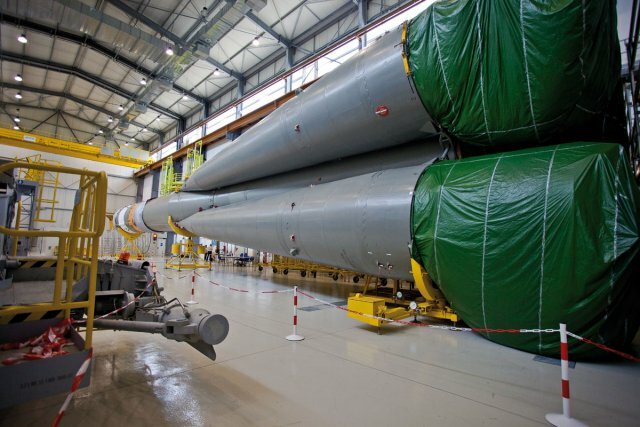 The date of first launch is not yet known however; the first load left with the latest Ariane 5 on 26 November 2010. 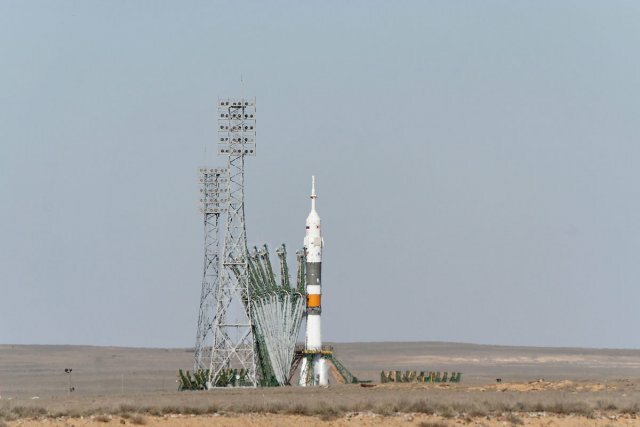 As for manned flights, they are technically possible from the new Soyuz launch pad. May we at last be entitled to dream of cosmonauts in French Guiana? 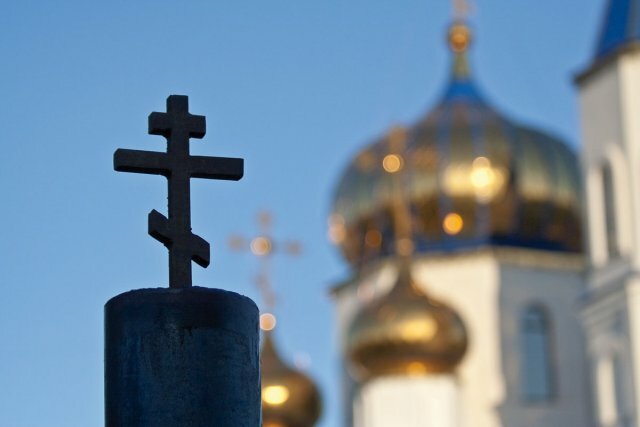 In Sinnamary the life of the Russians is a little bit like that of Rémy in Baikonur. The workers are up at five in the morning and taken by bus to the site in less than half an hour. They spend the day there and get back to the Hôtel du Fleuve at around 5pm. After a quick dip in the pool and a shower, there is a minibus service every half hour which takes them to the centre of Sinnamary. Once there, many of them go to one of the two restaurants where they are regulars: Thé Kafrine and Pakira. 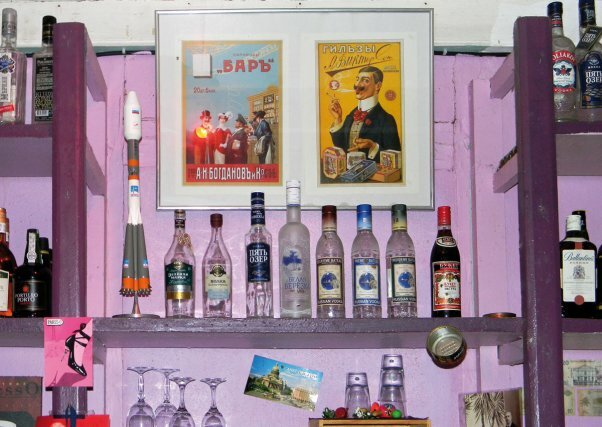 The Russians get two or three special €10 restaurant vouchers per day which they can use either to eat on the launch pad site or else at one of these two establishments which have signed an agreement with Arianespace and the Hôtel du Fleuve. “They discover dishes such as duck breast or scallops and they love frogs’ legs. They also like French Guianese dishes. The most important thing is that they make up about 80% of our custom,” explains Barbara, who runs the Thé Kafrine. She has started learning Russian for the occasion and is called “Babaruska” by her clients. There are a large number of objects the Russians have brought her as presents, as well as bottles of vodka in the freezer with the name of their owners written on them. The menu has also been translated into Russian. During their short stay in Sinnamary, of about two or three months for the workers and a bit longer for the engineers, the Russians are able to see what French Guiana has to offer thanks to a tour operator, Freelance, which shows them around. They particularly like fishing. Although the Russians are able to adapt fairly easily to the heat of French Guyana, they find the local language harder to cope with and a lot of workers do not speak a word of English either. At the Hôtel du Fleuve, they get two Russian TV channels and wherever they go, be it the restaurant or the Kourou health centre and hospital (Centre Médico Chirurgical de Kourou, or CMCK) where they can receive healthcare, they are always accompanied by translators, with about two for every thirty or so people. Rivals in the Amazonian region? 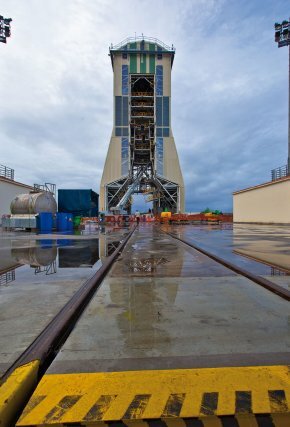 The stakes in the Franco-Russian cooperation in French Guiana become clear when you realise that neighbouring Brazil launched a test rocket on 12 December 2010 from its base at Alcantara, in the province of Maranhao, in the north-east of the country (latitude 2.18°S). Brazil wants to send its own satellites into space in cooperation with Ukraine and China. New space alliances are thus always emerging at a time when world geopolitics and the functioning of our interconnected world depend heavily on mastering space.